Music Soothes The Soul Sign -Show everyone how much music truly means to you by hanging this unique sign in your favorite room! 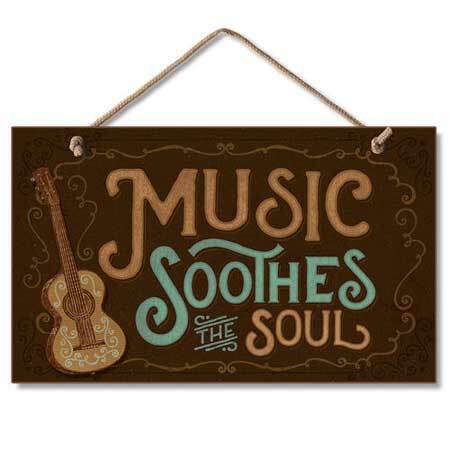 Made of high quality wood, the sign reads: “Music Soothes The Soul” along with an illustration of a guitar. It’s an ideal gift for musicians and music lovers alike! Comes with knotted rope attached for easy hanging. Approx: 9″ x 6″.